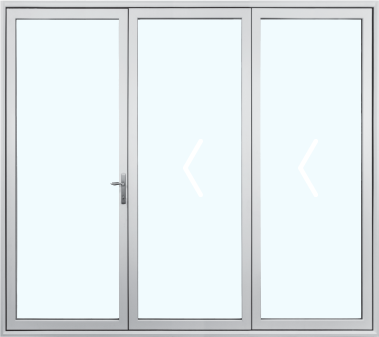 Architects, homeowners and building professionals can all appreciate the Cascade Folding Door System Cascade's innovative design blends a timeless look with structural integrity. The design is based on individual stacking doors with interlocking panels. This allows for higher performance ratings and easier operability. In addition, Cascade's new folding door system can also be painted on both sides to customize the design for your living environment. The operation of the door can be ordered with left or right side sliding direction. 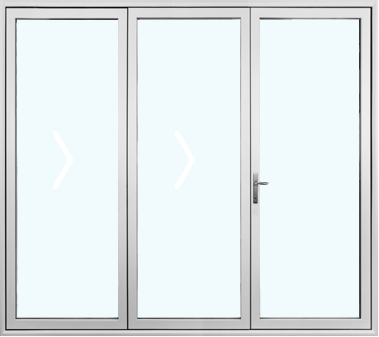 Operation Direction: Door can be ordered with left or right side sliding direction. Min panel width: 28 inches. Max panel width: 40 inches. Material: Extruded vinyl with aluminum re-enforcement.